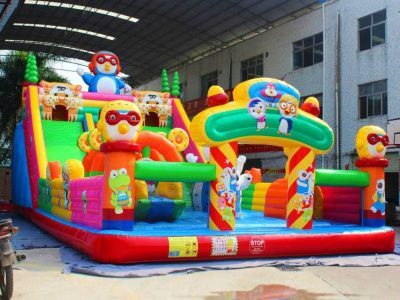 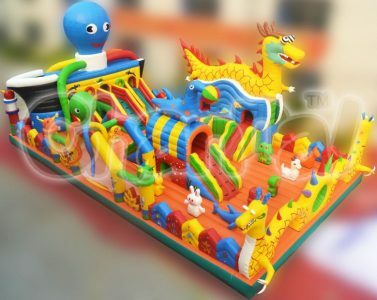 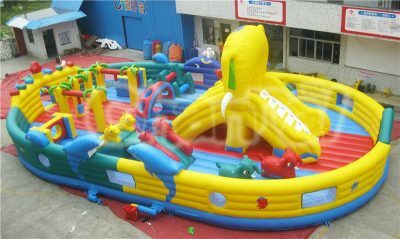 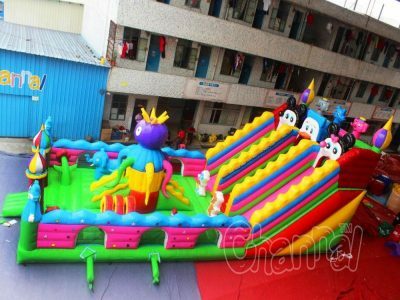 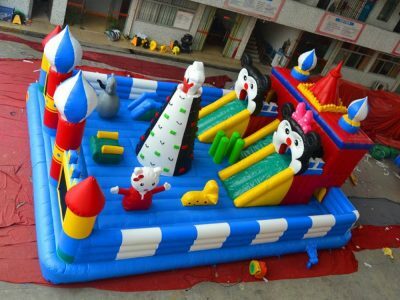 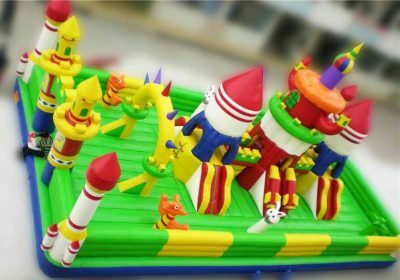 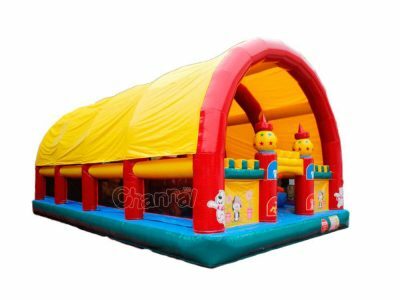 Inflatable fun city is a large outdoor inflated bouncy playground with all kinds of themes for kids to run, jump, crawl and slide. 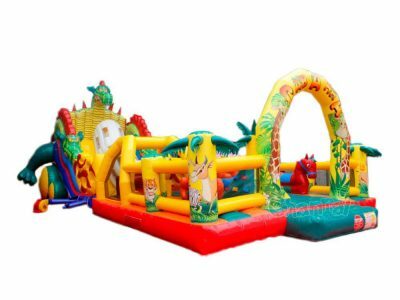 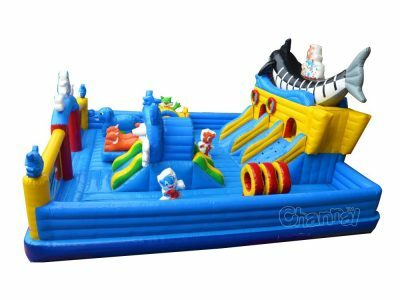 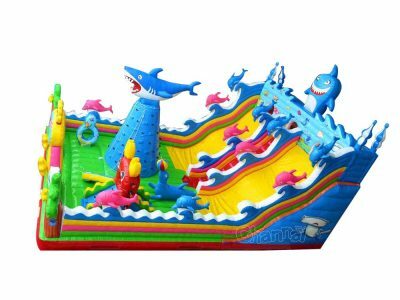 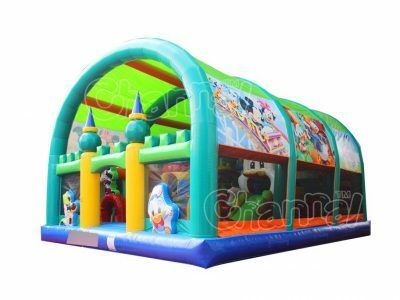 A commercial inflatable funcity comes with many fun features like climbing walls, tunnels, slides, bouncy house, inflatable models, etc. 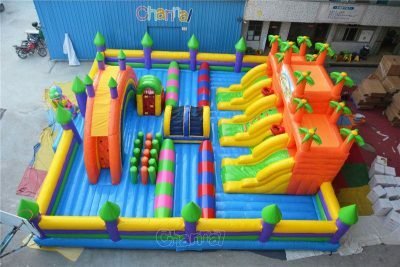 The different between an fun city and an inflatable obstacle course is that there is no established course to obey, kids are able to play around like whatever they want.